Gala Pa More! 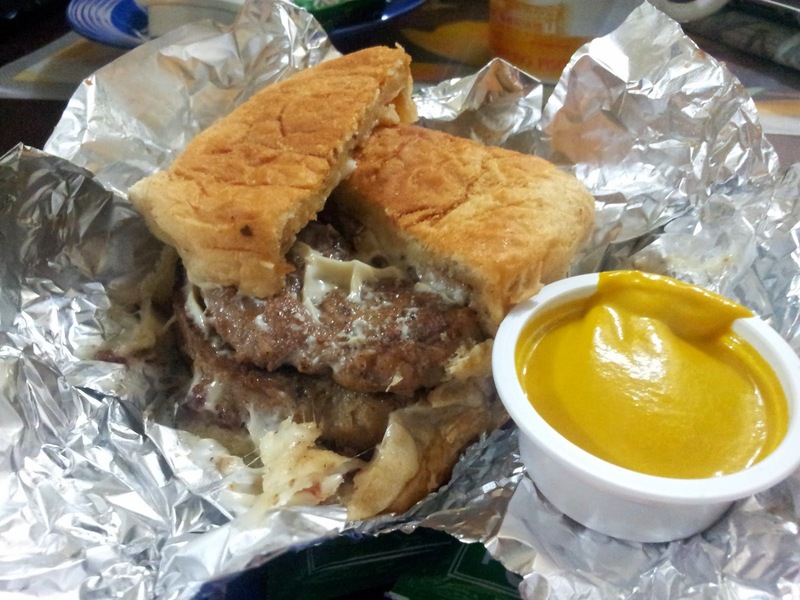 : Tastebud Treats: Good Burgers - All Lean. All Good. Tastebud Treats: Good Burgers - All Lean. All Good. Along Shaw Boulevard, across from Shaw 500 and beside the spacious Goldilocks resto, sits Good Burgers. As the name suggests, it offers healthy burgers, with the option of having chicken or all-veggie as patties. For the health conscious, all their products are definitely a must-try. They have 11 flavors to choose from, among which, Persian Burger and Bacon Mozza Melt are the best sellers for veggie and chicken patties, respectively. One has also the choice of choosing among three sizes, namely: Good, Better, and Best. Costs vary accordingly (see pricelist). Selection for add-ons, side orders, and drinks are also available. The burgers taste really good, even without catsup and mustard! Indeed, Good Burgers is worth trying. If you are within the vicinity, they can also deliver the orders at your doorsteps. Belly Good Burgers! Yummy and healthy!